The iPhone season is back! Yes, it’s that time of the year when Apple launches its new set of iPhone series. Apple, by continuing the tradition of introducing its new iPhones, rolled out iPhone 7 and iPhone 7 Plus in San Francisco at its annual event. We have been using the beta version of iOS 10 from quite sometimes, the all-new iPhone 7 and iPhone 7 Plus has shipped in with the new operating system. But people are much excited to know more about its overall structure, new features, key differences from that of the older versions of iPhones. Read on to know everything about the new iPhones: iPhone 7 and iPhone 7 Plus. The iSeries has changed a lot internally. To redo both the new models of it, Apple has added a better camera to it. However, external it is aesthetically identical to the iPhone 6 generation. The upgraded version of iPhone has come with bigger spaces (exciting features like fast processor, home button with the pressure-sensitive feature, major camera, improved battery backup and the all new and exciting headphones killing the jack). The next generation iPhone 7 and iPhone 7 Plus has ditched the usage of the headphone socket, instead, it has come up with a pair of Lightning EarPods and new wireless Bluetooth headphone called Apple AirPods. The EarPods can be connected through the charging port. The Pods are embedded with infrared sensors which get into power as and when put it on. While the pods are controlled by motion sensors enabling it to use Siri and respond to your voice. Possibly, Apple might steal back the photography feature crown from Samsung as both iPhone 7 and iPhone 7 Plus have been launched with bigger camera, where, iPhone 7 camera has 12 MP (megapixel) wide angle which is way faster and is energy-efficient than that of the older versions of iPhones, as claimed by Apple. Also in the flash, it has 4 LEDs. Whereas, iPhone 7 Plus comes with the same but an addon of a telephoto camera (dual camera), meaning it has the additional feature of optical zoom that enables digital zoom at 2X up to 10X for photos. In other words, you can click some arty pictures which can be, once, only created with DSLR cameras. Apple, for the first time, has released a waterproof phone. The new improved version of iPhone is water resistant. The hardware of the phone can sustain 30 minutes in the water, immersing to the depth of 1 meter. In other words, it has got water-resistance with an IPX67 rating. This also means the new iPhones are dust resistant too. It would be unbreakable. Therefore, your heart won’t skip a beat if it falls down the drain or loo. Remember, you can’t carry it while swimming! Apple has revamped its iPhone Home Button. It has given a vibration-based feature which is already in use on Apple’s MacBook. It has added Apple’s Taptic Engine which is a feedback system, meaning, to provide users feedback, it vibrates when touched. This feature has probably been added to make it waterproof. Therefore, the Apple iPhone Home button is now more customizable and precise. It doesn’t click instead it will give haptic feedback with a touch sensation. The quality of displays of iPhone 7 and iPhone 7 Plus is improved with 750×1334 pixels and 4.7 inches screen size, highlighting key points like Retina HD display, 25% brighter, have advanced color management and wider P3 color gamut. The newly unveiled iPhones have come up, as claimed by Apple, with faster CPU performance (speed, which is 40% faster than the older model) and provides graphically rich performance than that of the iPhone 6S and iPhone 6S Plus (up to 50% faster performance). Additionally, to support the speed of (around) 450Mbit, Apple has revised its 4G modem. It doesn’t really require to be any faster. In collaboration with Nintendo, iPhone 7 brings “Super Mario Runs” as a newer version of 3 decades old, Nintendo Franchise game- Super Mario. Well, this aspect would surely boost the sale of iPhone this year. The game is going to be launched in the fall of December, this year. Brace yourself for the iconic game saga that you can play single-handedly. Well, the next generation iPhone 7 models come with longer battery lives ever. As compared to iPhone 6S and iPhone 6S Plus, iPhone 7 models will sustain on the average of 2 hours and 1-hour longer respectively. Therefore, the battery will last for 14 hours and 15 hours respectively on iPhone 7 and iPhone 7 Plus. When you are using 4G WiFi, iPhone 7 would sustain for 12 hours and iPhone 7 Plus for 15 hours. iPhone 7 will be available in 5 different colors. Yes, if rumors are to be believed, iPhone 7 will be coming in Gold, Silver, Rose Gold, Dark Black, and Piano Black. So, go and order your favorite color! Apple has made a great deal of advancement and improvisation by unveiling the iPhone 7 and iPhone 7 Plus. They are anytime stronger as compared to any devices in recent memory, highly faster and spacious by means of performance and storage capacity respectively. The major show stealers are the dual camera, headphones with no jack, Water-resistance, the durability of battery etc. 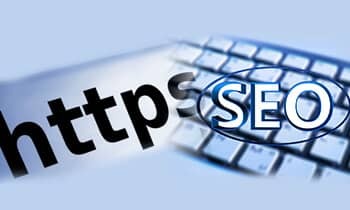 How HTTPS Setting Helps You In Boosting Up Your Search Engine Ranking? Drone Delivery Services: The Future of Transportation & Logistics?